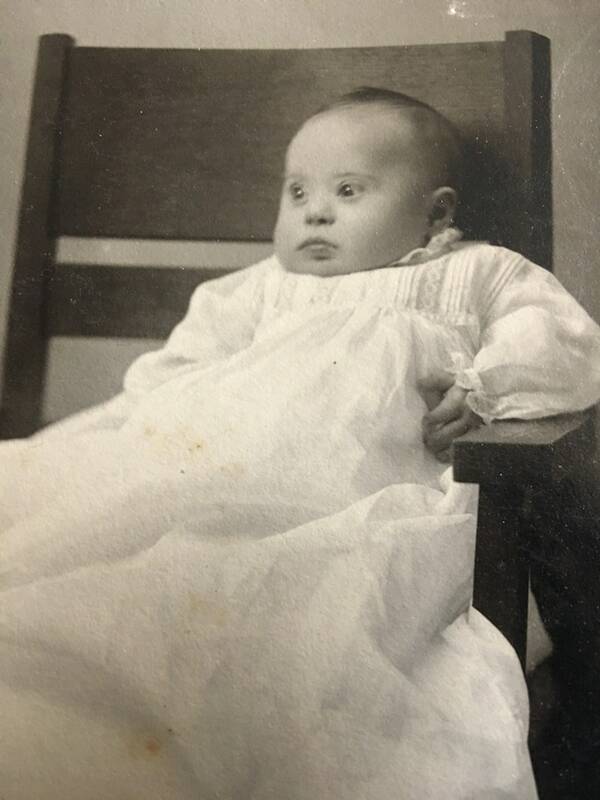 Antique photo of a little baby with Down's Syndrome shows this sweet baby dressed in a handmade christening gown with lace and tucks. Photo is under 4 x 6” and mounted on a 6 x 9 inch card, embossed with photographer’s information: A. Wolfrom, 4 Westport Ave., Kansas City, Missouri. Circa 1900-1910. Photo has very light spotting or foxing, card mounting has age toning.